International Journal of Research in Health Sciences,2014,2,1,340-342. 1-Associate professor, 2,3-Postgraduate, 4-Professor, Department of medicine, GSL Medical College, Rajahmundry. 500082, Andhra Pradesh, INDIA. Rhabdomyolysis is commonly seen with injuries associated with damage to the muscles. The pathogenesis includes the release of muscle proteins like myoglobulin into the blood stream which can lead to electrolyte disturbances, hypovolemia, metabolic acidosis, coagulopathies, and myoglobinuric assault of the kidneys by tubular clogging and necrosis resulting in renal failure. Significant muscle trauma is generally required to develop full blown manifestations of rhabdomyolysis like renal failure and hyperkalemia. We report a rare case of rhabdomyolysis in a patient with road traffic accident (RTA) without significant muscle damage. A 29 year old male patient is admitted with fracture right humerus and lacerations over thigh and back following a RTA. Investigations showed elevated serum creatinine and normal electrolytes. CT abdomen showed no evidence of intra abdominal bleeding or major organ injury. The patient did not respond to fluid challenge and continued to have scanty, brown coloured urine and a rapid rise in serum creatinine next day. He developed vomitings and anuria. Serum creatine phospho kinase (CPK) was grossly elevated. A provisional diagnosis of Rhabdomyolysis with Acute Kidney Injury (AKI) following RTA was made and he was given intermittent hemodialysis, and judicious IV fluids. 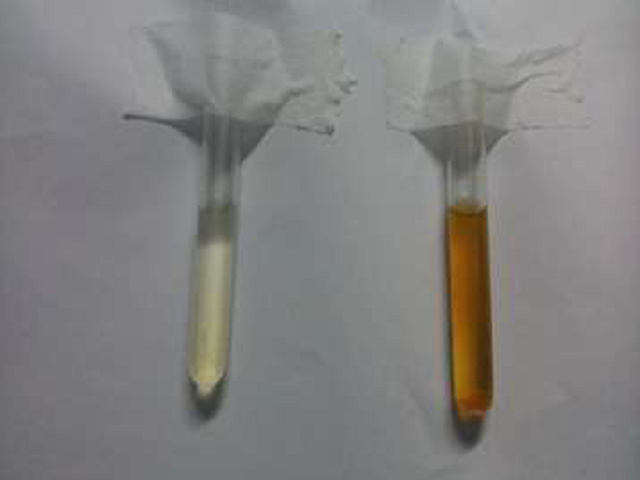 He gradually improved and after 5 sessions of hemodialysis, creatinine normalized and good urine output was established with a gradual change in the urine colour towards normal. He was discharged on the 15th day and after one month follow up his CPK and serum creatinine was normal and had no complaints.